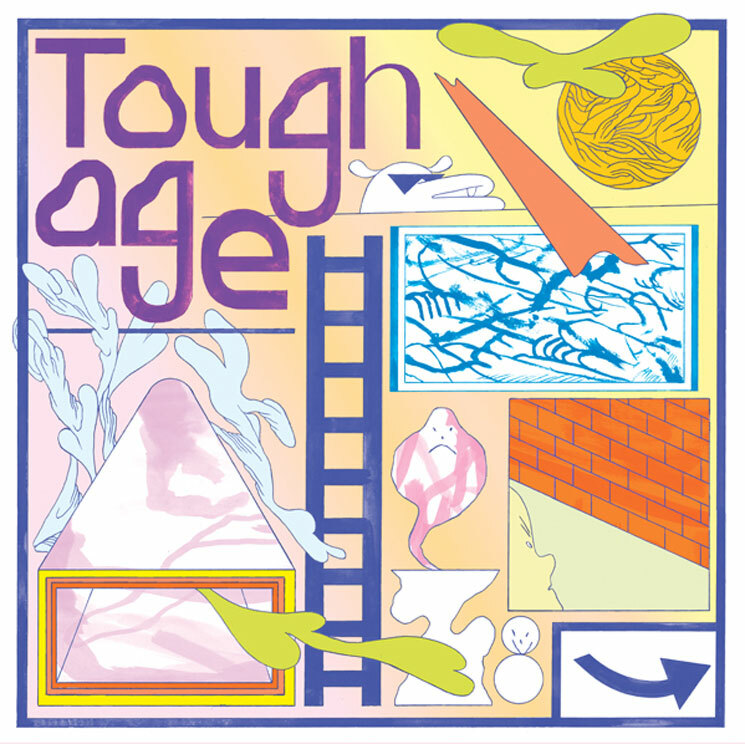 In the two years since Tough Age released their sophomore record I Get the Feeling Central, the garage punks have relocated from Vancouver to Toronto, reformed as a trio with the welcome addition of drummer Jesse Locke (Century Palm, Simply Saucer), and even made an appearance on Archie Andrews' bedroom wall in Netflix's Riverdale. Now, the trio have released Shame, a trim collection of eight tracks packed full of appealing hooks, a tinge of psychedelia and tons of glorious riffage. Album opener "Everyday Life" wastes no time in triumphantly kicking things off, carried by an elongated, melodic guitar riff and a single, contemplative verse: "He's like you, what will you dream of now?" The wiry tone of Jarrett Samson's guitar buzzes throughout Shame, enveloping it in a delirious haze that pleasantly intertwines with Penny Clark's groovy bass lines and the expertly controlled, thunderous slaps of Locke's kit. "Reflected" stands out as Shame's pinnacle, a flurry of swelling chords stabilized by steady drumbeats and gentle lyrics like "I want to be there when you go / You feel it too then let me know." Clark's turn on vocal duties for the winding "Me in Glue" is also a highlight, providing a tasteful contrast to Samson's singing.